Bukowski was one of the most unconventional writers and cultural critics of the 20th century. He lived an unorthodox, idiosyncratic life and wrote in a style that was unique--one that is impossible to classify or categorize. His work was at times cynical or humorous, but was always brilliant and challenging. His life and work are distinguished not only by a remarkable talent for words, but also by his rejection of the dominant social and cultural values of American society. Bukowski began writing at the age of forty and published forty-five books, six of them novels. He is also considered one of the great literary voices of Los Angeles. 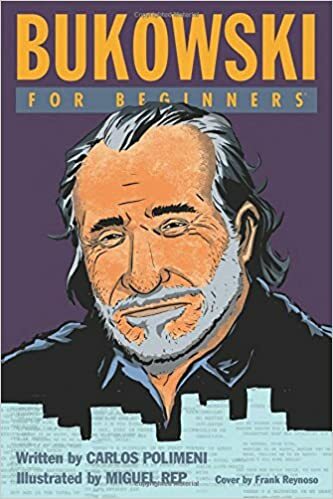 In Bukowski For Beginners, playwright Carlos Polimeni evaluates the life and literary achievements of the cult writer whose voice of dissidence and discontent is still heard and appreciated by readers worldwide.